The Nashville District Management Corporation is the 501 (c) (3) downtown Central Business Improvement District (CBID). Through annual assessments of privately owned properties within the district’s boundaries, $1.7 million was added to downtown revitalization in 2015. The Nashville Downtown Partnership manages the programs that CBID property owners decided should be the top priorities. These initiatives include clean and safe services supplementing those provided by the Metro Government, other public space management initiatives, downtown economic development (including business, retail and residential), and marketing downtown Nashville. For more information on property-based business improvement districts, visit the International Downtown Association's website. Nashville's downtown CBID was originally initiated by a Metro ordinance in 1999, following a successful campaign which was supported by a majority of property owners wanting to revitalize the urban core. This district has been renewed twice, with the current 10-year term beginning in 2008. The CBID Board of Directors oversees the Nashville Downtown Partnership’s operation of their programs. Over 50% of the CBID budget each year is invested in clean and safe services. 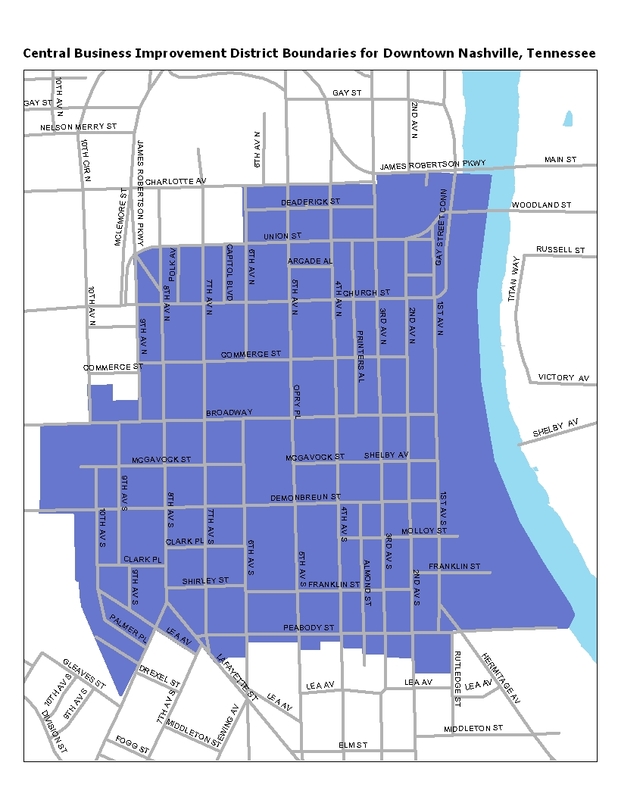 Property owners and tenants within the district boundaries may request services and assistance on downtown issues. In 2007, a second downtown improvement district was initiated in The Gulch. The Gulch Business Improvement District, Inc. (GBID) Board of Directors contracts with the Nashville Downtown Partnership for services and administrative support. The success of Business Improvement Districts is based on a strong private-public partnership. Property owners speak with a unified voice on issues related to their downtown investments.